There are few accessories that have the power to bring an old outfit bang up to date quite like a pair of sunglasses. An integral part of any fashion aficionado's uniform, they've become a firm sartorial fixture for many (think industry legends Karl Lagerfeld and Anna Wintour, as well as influencers like Blair Eadie), so it's little wonder sunglasses trends always catch on the quickest. Whilst 2018 was dominated by '90s-inspired slim shades, it seems that things are taking an increasingly directional turn for spring/summer 2019, with many designers using stand-out frames to lift more refined outfits. 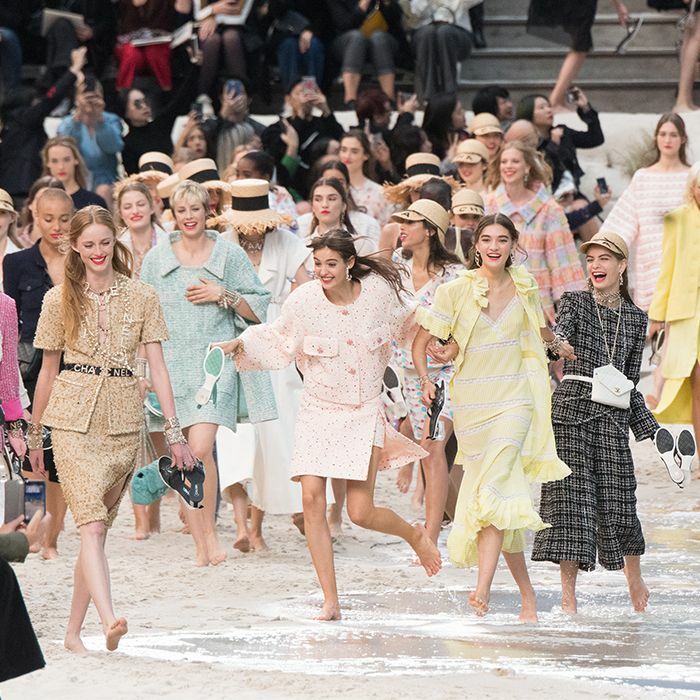 However, you don't have to wait six months to get in on the new season action, as many brands have already ticked off the main eyewear and sunglasses trends of 2019 in their current collections. Style Notes: Nineties-inspired mini rectangular glasses made a major comeback last year. 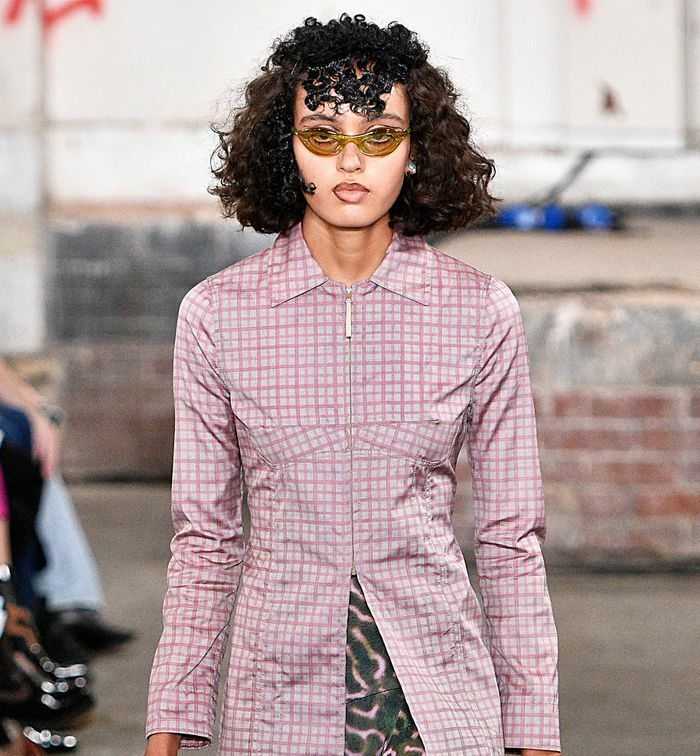 Whilst micro eyewear is sticking around, this time it's all about the teeny cat eyes seen at Fashion East and Sally LePoint. Style Notes: Matching your lenses to your frames officially became a thing when Tibi sent its models down the runway wearing candy-coloured sunglasses. Versace, Kate Spade and Pamela Roland also followed suit. Style Notes: Just like the pair your Grandad used to wear, thick-framed spectacles were all the rage at Boss and Burberry. Wear them with sleek hair and high necklines. Style Notes: Bold, Terminator-style shades were also evident on the catwalks of 3.1 Philip Lim, Stella McCartney and Iceberg alike—a byproduct of next season's obsession with all things '80s. Style Notes: Make a real style statement by investing in a pair of red-lens glasses. As seen at John Elliott, Anna Sui, Anteprima and Each X Other, this eyewear trend was easily the most prevalent on the runway. 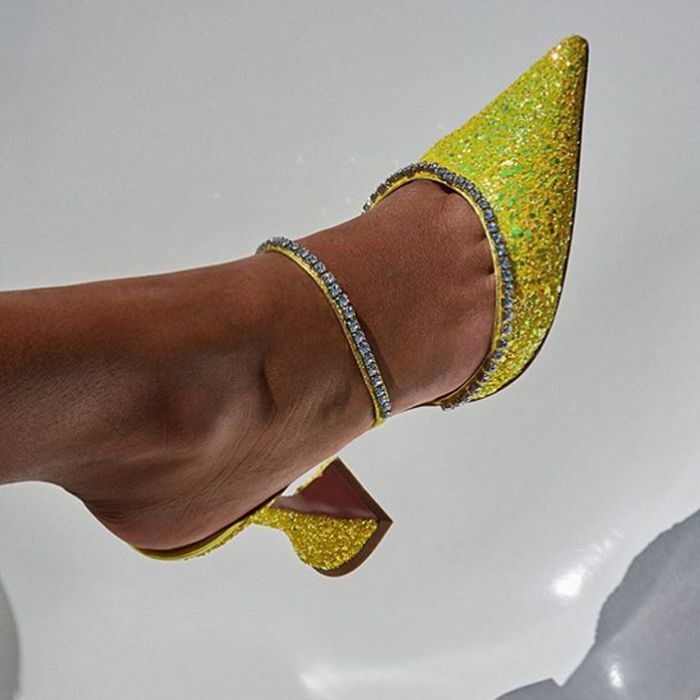 Get clued up on all of spring/summer 2019's fashion trends with our new-season directory.